Daryl Johnson (Worcester Park, United Kingdom) on 8 March 2019 in Food & Cuisine. 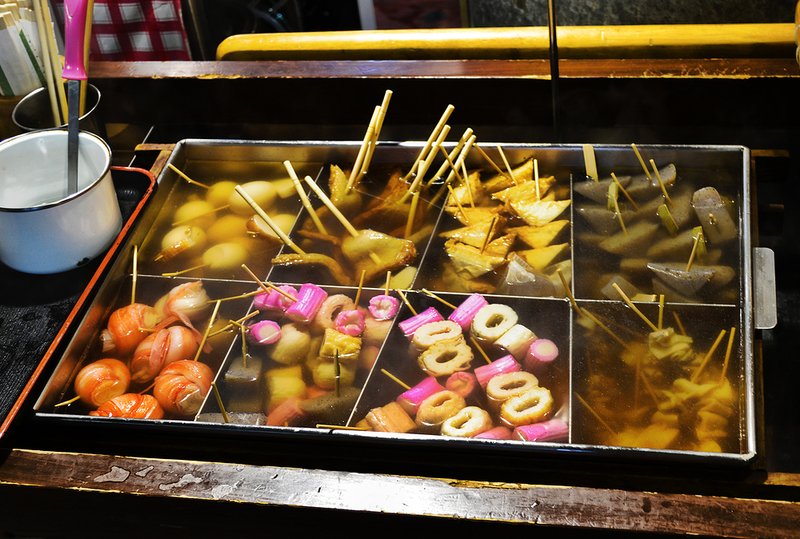 Stall selling oden - a dish of various ingredients such as tofu, eggs, and konnyaku simmered in broth. It all looks interesting and tasty.